Stocks ended a wobbly day of trading mostly lower on Wall Street as a three-day winning streak stalled. Facebook led losses among communications companies Thursday with a 1.8 percent drop after the New York Times reported that its data-sharing practices are now under criminal investigation. Health care stocks fell. Pfizer gave up 2 percent. Dollar General slumped 7.5 percent after reporting weak results. Tailored Brands, which owns Men’s Wearhouse, plunged 25 percent after giving investors a surprisingly weak first-quarter forecast. The S&P 500 slipped 2 points, or 0.1 percent, to 2,808. The Dow Jones Industrial Average edged up 7 points, less than 0.1 percent, to 25,709. The Nasdaq fell 12 points, or 0.2 percent, to 7,630. Bond prices fell. The yield on the 10-year Treasury rose to 2.62 percent. Banks, technology and industrial companies were leading the gains Thursday. Apple rose 1 percent, JPMorgan Chase climbed 1.3 percent and General Electric added 3.2 percent. Dollar General slumped 9.3 percent after reporting weak quarterly results. The S&P 500 index rose 3 points, or 0.1 percent, to 2,814. The Dow Jones Industrial Average rose 35 points, or 0.1 percent, to 25,737. The Nasdaq rose 3 points, or 0.1 percent, to 7,647. 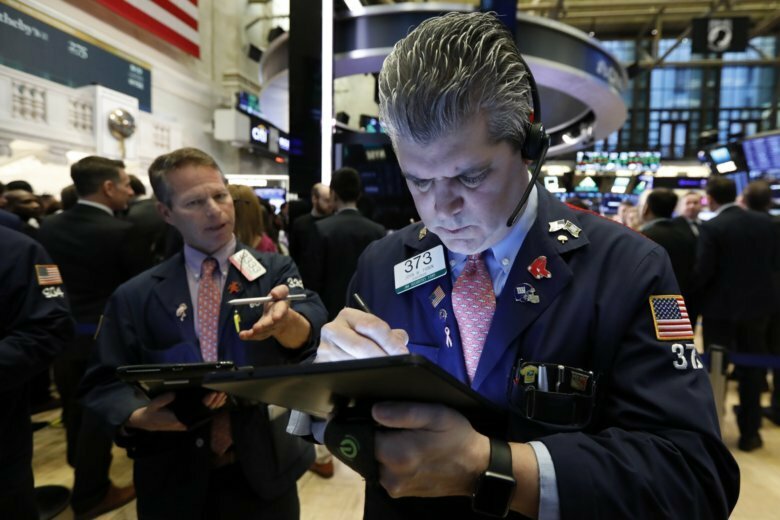 Stock indexes are little changed in early trading on Wall Street as the market cools down after rising for three days in a row. Gains for technology and industrial companies early Thursday were offset by losses elsewhere. Apple rose 1 percent and General Electric added 4.5 percent. Dollar General lost 7.7 percent. The S&P 500 index edged down 1 point to 2,809. The Dow Jones Industrial Average edged up 27 points, or 0.1 percent, to 25,728. The Nasdaq slipped 6 points, or 0.1 percent, to 7,637.